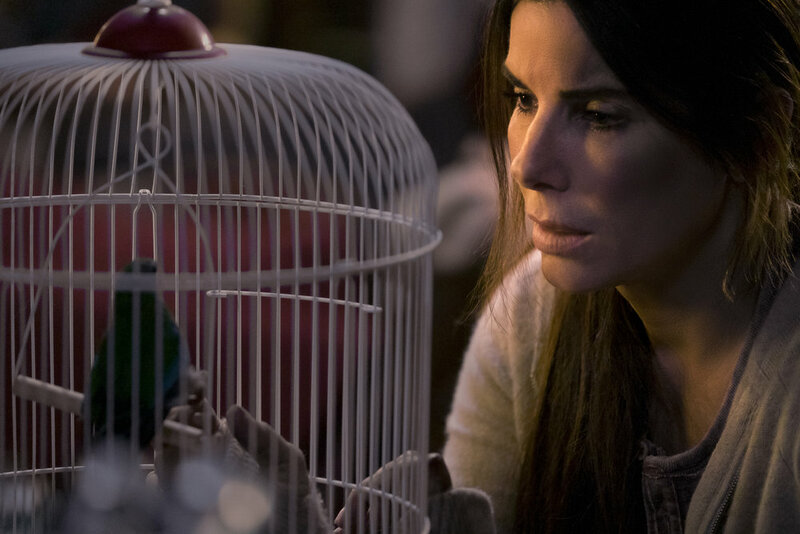 In “Bird Box,” the Premise is the star. Do not approach the Premise. 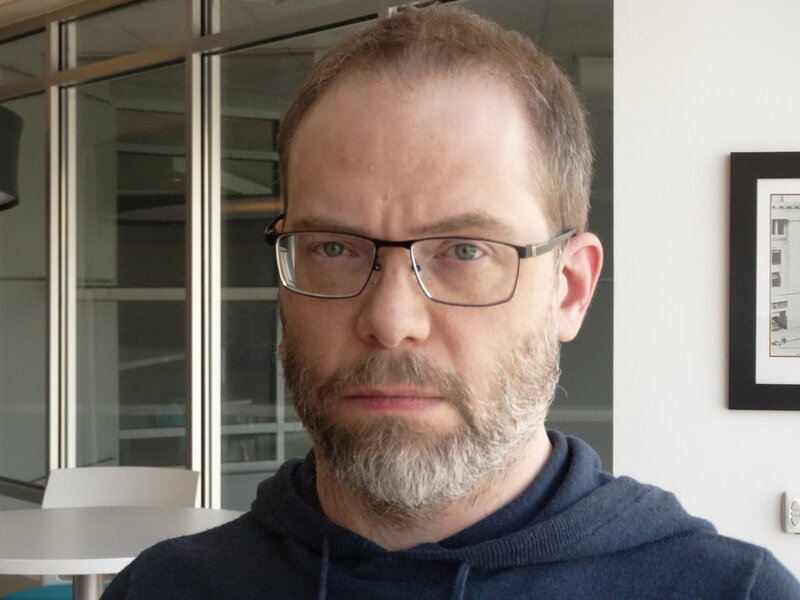 Do not look the Premise in the eye. The Premise is the sun, and the cast, writer, director, cinematographer, editor, special effects coordinator, grip, accounting manager, publicist, puppeteer, boat captain and everyone else, merely servants in its orbit. The Premise is one, and the Premise is all. The Premise demands that every green M&M be removed from the bowl on the catering table. Perhaps I exaggerate. Perhaps. The one about not looking it in the eye is not an exaggeration, because that’s the actual premise of the movie -- a mysterious force of some kind causes anyone who looks at it to immediately go insane and commit suicide. You can’t even view it indirectly via video camera, as one character learns the hard way. There are exceptions. If you’re already insane, then you become a dogmatic disciple of the force. Or, if the plot needs you to do something heroic, then you have a moment or two before your marbles roll out your ears. The force exists in the open air, and people protect themselves from its terrible influence by staying indoors and covering the windows, or covering their eyes while outside. It’s invisible, but it casts a shadow sometimes, usually when the director desires a sequence with some visual flair. It manifests in a whoosh of leaves lifting off the ground, or sometimes a ghostly whisper exploiting it’s victims’ psychological fears or anxieties. Does it whisper in English? Of course it whispers in English. The Premise is no good if it whispers in its native tongue. All this, of course, is grade-A, top-shelf, first-class, exceptionally ridiculous hooey. In movies, the apocalypse comes in many forms, and this is one of the dumber ones. The “Bird Box” reality has no logical basis or clearly defined “rules,” just an open door to do whatever the plot demands. It can do anything, and remarkably, it only chooses to do moronic things. The movie’s hero is played by Sandra Bullock, who has plenty of Sheer Force of Will, but not enough to elevate the sunken screenplay within 100 leagues of plausibility. She grits her teeth with great intensity and goes fully serious into a hurricane gale of narrative imbecility. Her character, Malorie, is first seen leading two children on a treacherous rowboat journey down a river, made all the more challenging because they’re blindfolded. The film jumps back and forth between their journey and events taking place five years previous, which sort of explains how they found themselves in this ocularly disadvantaged doozy of a pickle. I say “sort of” because the film treads the line between leaving the origin and motivation of the invisible evil a tantalizing mystery, and being underwritten and conceptually sloppy. In the moments prior to everything going awry, Malorie is pregnant, reluctantly, and in a state of anxious denial. The father is out of the picture, so her sister (Sarah Paulson) takes her to the obstetrician appointment. With a look of consternation and uncertainty on her face -- a rare instance in which Bullock is required to act with any nuance in this movie -- Malorie clutches an adoption pamphlet on her way out of the hospital. But something is amiss. Other civilians begin behaving erratically, with deadly results. It’s a grim scene: Suicide, raving lunacy, blood, destruction. Malorie ends up on the doorstep of a house, where she’s taken in by a crew of survivors, motley of course. Notable among them is Trevante Rhodes (“Moonlight”) as an Attractive Serious Man, Danielle Macdonald (“Patti Cake$”) as Another Pregnant Woman, Jacki Weaver (“Silver Linings Playbook”) as an Older Woman with Convenient Midwife Skills, BD Wong (“Jurassic World”) as the Homeowner, Lil Rel Howery (“Get Out”) as Some Comic Relief, John Malkovich (“Being John Malkovich”) as an Alcoholic with a Shotgun, and a few other loose character stereotypes. They bicker and fret and occasionally schtup, as motley crews forced together by circumstance in movies usually do. 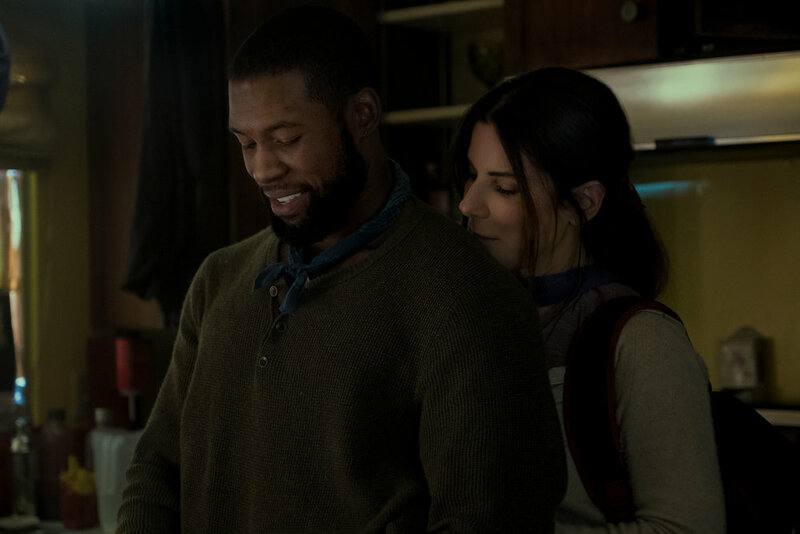 Malorie and the Rhodes character, Tom, are the reasonable ones, preventing “Bird Box” from venturing into Campville via Yukston. They lead a small group to the supermarket for supplies, a trip that requires them to black out the windows of the car and use the GPS as a guide to their destination, a highly implausible trip that doesn’t result in them hitting a fruit cart or fire hydrant -- the kind of thing that usually happens in bad movies, but here’s the rare occasion where it doesn’t happen, and the movie is bad anyway. The sequence kicks off the inevitable picking-off of motley crew members by the Premise. It also allows Malorie to find some supermarket parakeets, which become agitated in the presence of the Premise, something she learns the hard way, but not a way that’s so hard, she dies. Eventually, for the river journey, she puts the birds in a box. “Hey,” you’ll say to yourself, “that’s the title of the movie!” And you’ll be absolutely right. “A Quiet Place” was also ridiculous, but frightening and suspenseful nonetheless, and “Bird Box,” to its detriment, must follow it. 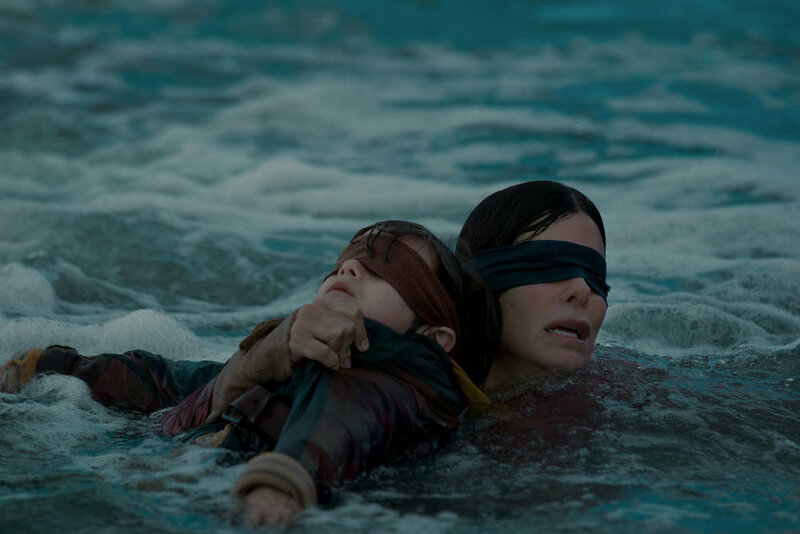 “Bird Box” is ultimately too silly to keep us in the moment and foster any real dramatic tension. In fact, it’s frequently woefully unoriginal, mixing up “The Road” (perilous post-apocalyptic journey), “The Happening” (outrunning the wind), “Sophie’s Choice” (mother forced to make awful choice) and “Evil Dead” (invisible thing whooshing through the woods) into a lumpy, misshapen thing that teases out unintentional comedy (I’ll repeat: outrunning the wind) instead of suspense. Of course, there’s the inevitable scene in which a blindfolded Bullock is leading the blindfolded Boy and Girl through the forest, and she trips on a log and tumbles down an embankment -- a scene that should’ve happened 50 times prior, but only happens at the worst possible moment. There’s also a scene in which the principals embark on a scavenging mission and find one lonely stale Brand Name Toaster Pastry. They share a Tender Moment over a Brand Name Toaster Pastry. But will it be the Brand Name Toaster Pastry of Doom? I paused to reflect: Certainly, egregious product placement is a 21st-century literary device foreshadowing terrible things in maddeningly ridiculous and aggressively stupid movies. The film gets more laughable as it zips along its pair of inevitably intersecting plot lines. We eventually learn that Malorie named the two children Boy and Girl -- perhaps so she wouldn’t get too attached to them in this horrible life of misery and death, or perhaps the film is making a ham-handed attempt at parable or allegory. But it just results in Bullock being given the following dialogue during a trying dramatic moment that we’re supposed to take seriously: “Girl! Boy! Oh! Girlboy! Oh! Oh!” Bullock gamely attempts to fold the complexity of Malorie’s reluctant motherhood into the character’s tough-as-nails survivalism, but the performance is ultimately swallowed whole by the Premise, which is hungry and merciless.